MastrerPieces: THE FACE OF THE ENEMY | Warped Factor - Words in the Key of Geek. 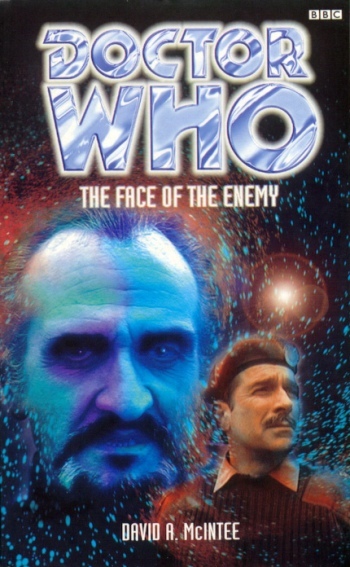 First published on January 5th 1998, Matthew Kresal looks back at the Doctor Who novel The Face Of The Enemy. The Face Of The Enemy is what, in the terms of the New Series, would be called Doctor-lite. The Third Doctor and Jo show up in the novel's prologue and its epilogue, a matter of about five pages out of 281. 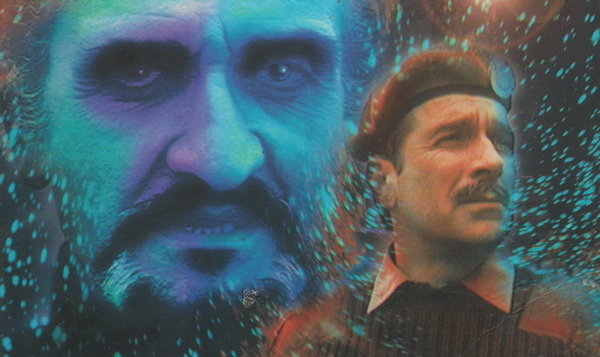 The novel therefore focuses on two other major aspects of that Doctor's era: UNIT and the Roger Delgado Master. Throw in former first Doctor companions Ian and Barbara, as well as quite a few bits of continuity into the mix, and the result an intriguing take on the Doctor Who universe. In his previous novel The Dark Path for the Virgin Missing Adventures, David A. McIntee showed his incredible characterization of Roger Delago's Master. Here, McIntee takes the Delgado Master even further as he makes him into the most unlikely thing expected: UNIT's temporary scientific adviser. But just because The Master is working with the “good guys” doesn't mean he isn't the same old Master. During its first half The Face Of The Enemy also gives this Master the chance to play a London gangster as well, which is a role that perhaps isn't quite as initially convincing but one that, as the novel progresses, actually serves the Delgado Master well thanks to McIntee's characterization. McIntee also ties back into The Dark Path in a rather unexpected way. The result is that this remains one of the Master's strongest stories in any medium. This strong characterization extends to other familiar character's from the TV series. McIntee perfectly captures the UNIT family from the Brigadier to Captain Yates and Sergeant Benton, bringing them to life with the same skill he brought to the Delgado Master. The Brigadier in particular comes across well, tying into elements from previous Who novels. The book also reintroduces sometime UNIT Corporal Bell and shows us the first time a young naval lieutenant named Harry Sullivan came into contact with UNIT, with McIntee bringing them both to life splendidly. Perhaps the shining stars of the novel, besides the Master of course, are Ian and Barbara. McIntee perfectly captures the two characters as believable extensions of the ones we saw on TV. McIntee in fact takes their characters even further, especially Ian in Chapter 13 onwards when he is pushed to the edge through a seemingly tragic event. The result is a novel full of strong characters all around. That extends to the cast of new characters as well. They range from DI George Boucher, who finds himself tied into the novel's events through a seemingly unconnected bank robbery, to the set of characters who are not what they seem. High up on that latter list is Marianne Kyle who is something of an enigma as she constantly swaps sides and allegiances until the truth about her is revealed. These new characters come across strong and each add something to the novel as a whole. The plot of The Face Of The Enemy is a curious one. It does what Doctor Who does best: combine different genres into something that is undeniably Doctor Who. Starting off as a cross between Quatermass, a gangster movie and a spy thriller. The mix is an at times uneasy one, especially in the earliest parts, but the farther along it gets the better it becomes. It all works because McIntee inserts Who elements into it, bringing it all together into a complete whole as the novel races along to its climax. It also helps that McIntee keeps it moving at quite a pace, turning this into what could easily be called the Doctor Who equivalent of a techno-thriller. The Face Of The Enemy is an intriguing Doctor Who novel. It's a Doctor-lite tale that focuses on many of the supporting characters of the third Doctor's era, as well as two previous companions, and illuminates them all. It does so while putting them all into a thriller plot that mixes genres to create a story that is undeniably Doctor Who. It's an intriguing take on the series and a strong novel to say the least.